Sally Bruce Richards' idiosyncratic style takes you into a world of mesmerising gilded treasures. Hares wait under windswept trees, bees and humming birds feeding on heavy blossom. A silhouette of a fox on the horizon, big eyed owls watching. A continuing story of enchanting collectable artworks, all set against a gilded background. 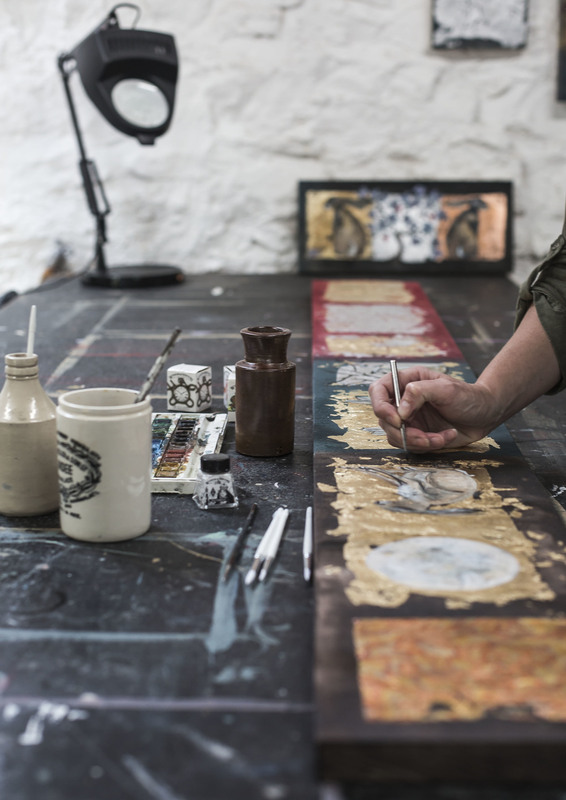 Each original piece is handmade by Sally in her studio on the remote Hebridean Isle of Mull using gold, copper and silver leaf and rice paper which makes them unique works of art to be cherished. Her work is only available on the island and a few select mainland galleries. Sally's qualifications are in Interior Design, Art, History of Art & Architecture and Technical Drawing. As a Draughtswoman Sally is disciplined in the use of scale & geometry. However, following her move to the Isle of Mull she became influenced by her immediate environment, freeing herself from the straight lines and symmetry of her training, in favour of the natural shapes created by the elements of this rugged part of Scotland. 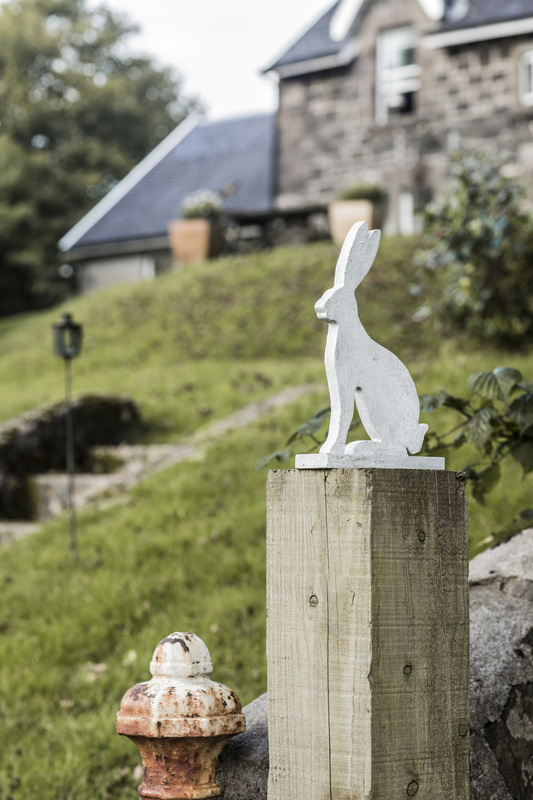 Sally is passionate to develop her art in new ways, continually drawing inspiration from her life on Mull.